The Garden Plot: GMG's Friday Find: Welcome Pollinators to Your Backyard! 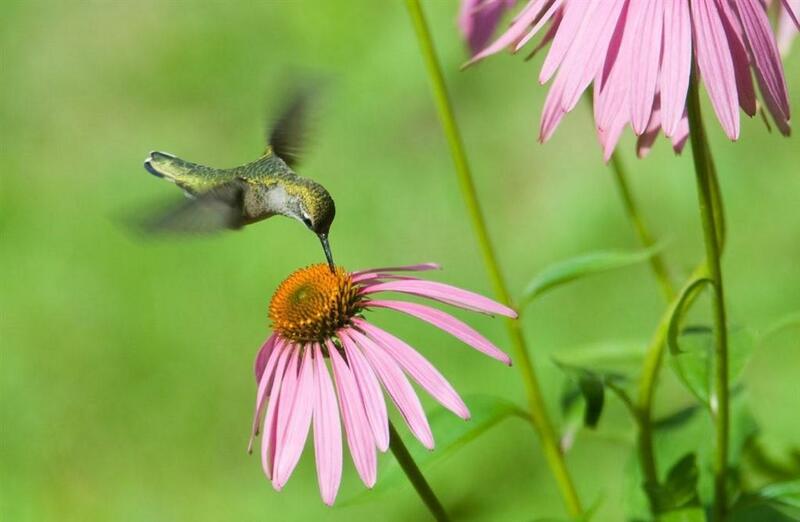 GMG's Friday Find: Welcome Pollinators to Your Backyard! Don't bee fooled, we need bees. Just about every fruit and vegetable you can imagine is dependent on the pollinating services of bees. Apple orchards, for example, need one colony of bees per acre to be adequately pollinated. Honeybees contribute $15 billion in annual agriculture revenue to the U.S. economy alone, as a full one-third of the American food supply depends on them pollinating crops. Yet sadly, the bees are dying. Sometimes the answer is apparent, as in the bee die-off in Oregon last week where 50,000 bumblebees were sprayed with a pesticide to combat aphids on blooming linden trees. More often, the bee decline is subtle, precipitated by a lack of natural foraging, like native plants. One thing is certain, bees and other pollinators are necessary for all seed and fruit production by flowering plants--the plants we need to survive. We can help the bees survive, so we do. 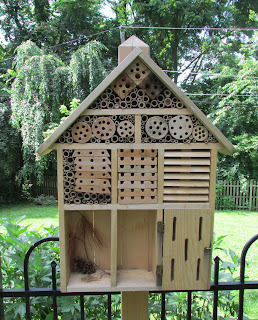 One of the things we can do is put a habitat hotel in our yard or garden to invite beneficial insects to rest and nest. The shelter is not only a beautiful landscape accent, it is a welcome mat for pollinating butterflies and bees, as well as lacewings and ladybugs that help control insect pests. Built specifically for these beneficials, this particular one also offers space for bird nesting materials. 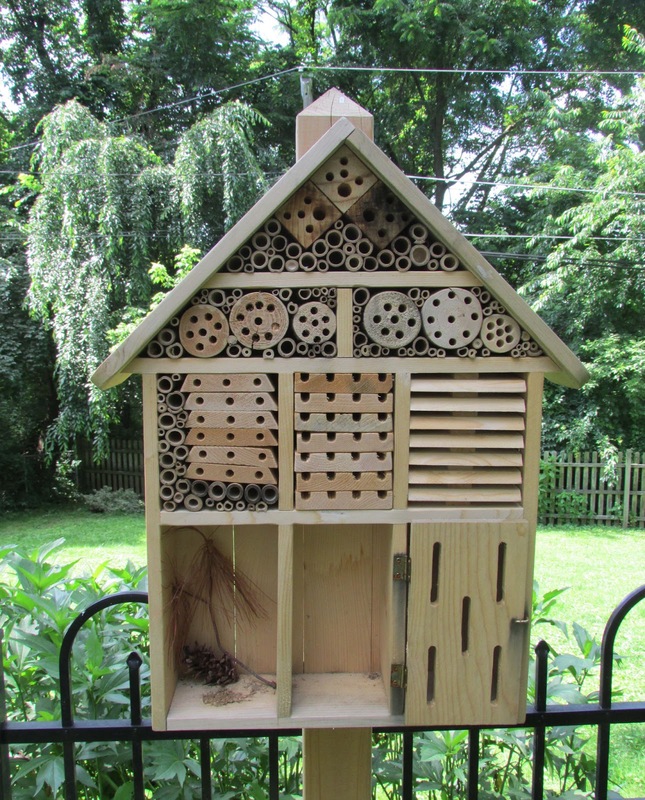 You can also encourage bees to nest with man-made bee condos made from bundles of hollowed sticks. Cultivating native plants is crucial for the survival of our pollinators. 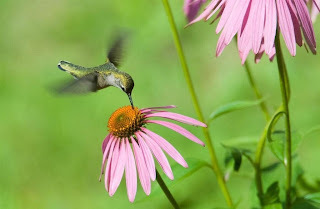 Using plants native to your area, and ones that bloom from early spring to late fall, is the best way to ensure the butterflies, bees and hummingbirds feel at home and continue working on what they do best--helping plant reproduction by the transfer of pollen among flowers. 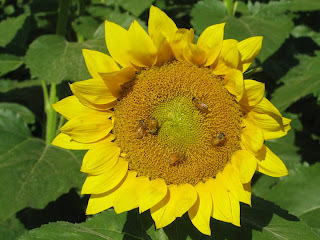 Of course, the biggest offender to the bee population and other beneficial insects is pesticides. For an all natural pest control, check out RESCUE!® products for their complete line of deterrents that work based on scientific research. RESCUE!® products are eco-friendly, recyclable and kind to the environment. Whatever small part we do impacts the larger ecosystem that nourishes us all. When we take care of the bees and other pollinators, we contribute to the success of our food supply as well. 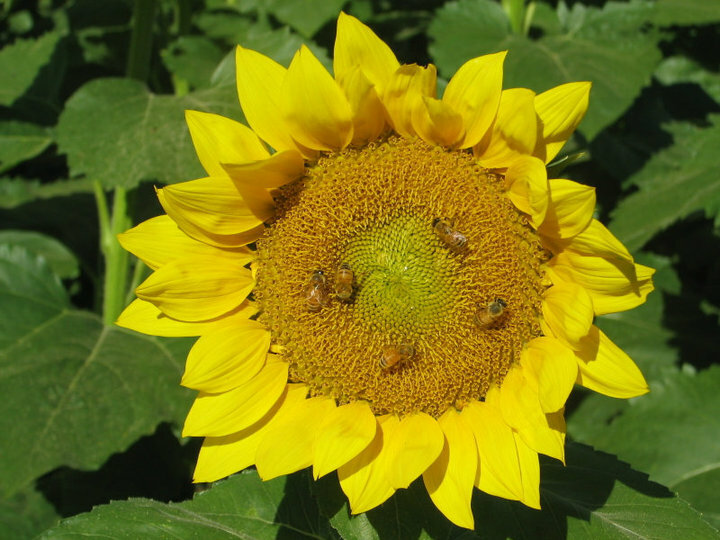 We'd love your thoughts on other ways to help our pollinator friends. Bee-cause it's not just important, it's vital.